After about a year and a half since it went live gradually in all other languages, the folks at the Google search team decided that it was finally the time to roll out the bitter-sweet Panda update in Japanese and Korean as well which suppose to surface high-quality content sites and to hit low-quality sites. The affect of this update on websites in Japanese and Korean is pretty drastic- A change of about 5 percent of all search queries (in the targeted languages) has a dramatic impact on MANY websites and just for comparison, when the Penguin update first launched few months ago it impacted “only” about 3 percent which perceived as rather huge. 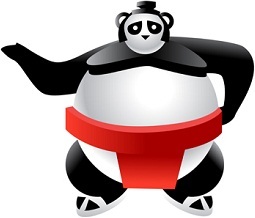 Google initially released the Panda update in February 2011 only to English search queries in the U.S. and couple of months later in April 2011, it also unleashed it to English queries globally. In August 2011, the Panda went live to all other languages except for Chinese, Japanese and Korean, and refreshes more or less on a monthly basis (last Panda data refresh was on June 26th). The reason for the Panda update delay in those languages was probably due to the difficulty of the search algorithm to detect and to evaluate website’s content quality in Chinese, Japanese and Korean which is obviously the backbone and the core purpose of this algorithm update to begin with. By the way, China is one of the only markets in the world where Google isn’t the most popular search engines as it lagging behind the Chinese search giant Baidu.